Check out the fifth episode of Embedded for UFC 236. UFC 236 is almost here, and as usual, Embedded is here as well. The show that gives you an inside look at the marquee contestants on PPVs has issued the fifth episode for this weekend’s big show in Atlanta, and it serves as a brief introduction to the fighters at the top of the card. Kelvin Gastelum is looking off the balcony of his hotel room in Atlanta and enjoying it. He’s trying to re-create the same energy he had in Australia. He then gets down with a sparring session in his room. Israel Adesanya heads to a gym in Smyrna to work out. He tells his coach about Gastelum saying that Israel has “no pop in his shots”, which makes them laugh. And he calls him “Dough boy”. Back in his hotel room, Adesanya talks about the last real job he had. And since 2013, he hasn’t looked back. Max Holloway sees clowns around with Daniel Cormier before Ultimate Media Day. Gastelum says he won TUF on April 13th, 2013, so it’s a good day for him. He squares off with Adesanya. Dustin Poirier meets Eryk Anders, then talks about his wrestling and him and Holloway winning fight of the night. 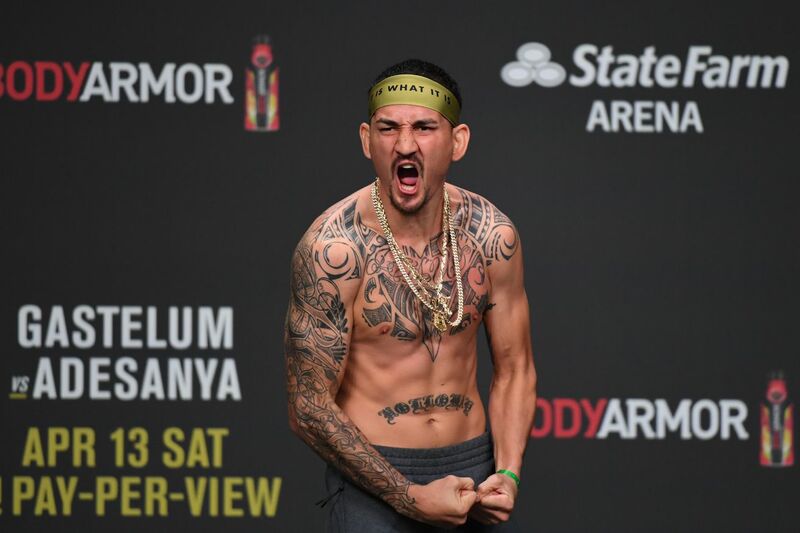 Holloway says he’ll sign up to fight DC if he has to, and how a lot of the best fighters are at lightweight so that’s why moving up makes sense. Poirier strikes a pose and says “How about that for your stepmom’s screen saver?” He discusses making 155 for a few seconds. Holloway’s coach Ivan Flores says there’s no one like “Blessed”. Max says the weight cut is going well, as expected since he only has to make 155. He says he has two more sleeps before the fun time. And that’s it! UFC 236 goes down tomorrow night in Atlanta.